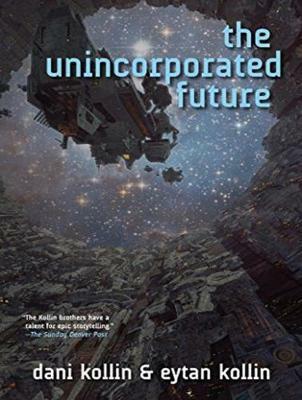 In Dani and Eytan Kollin's The Unincorporated Future, Sandra O'Toole is the president of the Outer Alliance, which stretches from the asteroid belt to the Oort Cloud beyond Pluto. Resurrected following the death of Justin Cord, the unincorporated man, O'Toole has become a powerful political figure and a Machiavellian leader determined to win the Civil War against the inner planets at almost any cost. And the war has been going badly, in part because of the great General Trang, a fit opponent for the brilliant J. D. Black. Choices have to be made to abandon some of the moral principles upon which the revolution was founded. It is a time of great heroism and great betrayal, madness, sacrifice, and shocking military conflict. Nothing is predictable, even the behavior of artificial intelligences. There may be only one way out, but it is not surrender.